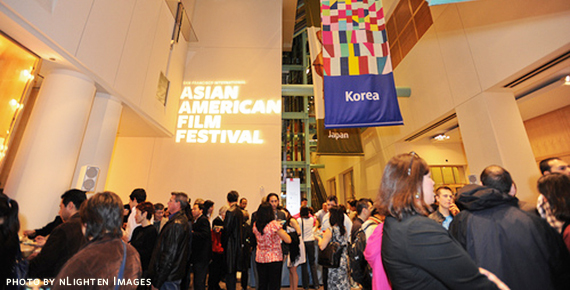 SURROGATE VALENTINE is the SFIAAFF Closing Night film for San Francisco. Bay Area music stalwart Goh Nakamura plays “Goh,” a low-key indie rocker on tour with a sycophantic Hollywood actor. When he reconnects with a longtime friend (Lynn Chen), he is forced to make some bold decisions about his life. From the director of WHITE ON RICE. SURROGATE VALENTINE is the SFIAAFF Closing Night film for San Francisco. Bay Area music stalwart Goh Nakamura plays “Goh,” a low-key indie rocker on tour with a sycophantic Hollywood actor. When he reconnects with a longtime friend (Lynn Chen), he is forced to make some bold decisions about his life. From the director of WHITE ON RICE. Tickets are currently at rush, so line-up and get there early to be sure you get a ticket. Take a look at this music video Goh Nakamura did for his song “Surrogate Valentine,” which also feature’s CAAM’s very own Theresa Navaro.